As we move into the busy spring season, perhaps the most active time of the year, we are expecting strong results at the major auctions around the world as well as strong momentum from investors who will be re-balancing their portfolios after their annual tax filing in most countries. With the recent announcement of the strong growth of passion investments in the last decade, with rare jewelry prices up 138 % in the last decade and average colored diamond prices up over 70 % in the last decade, the establishment of strong momentum in the commodities market in general and more specifically rare hard assets should lead to solid results in the coming years. 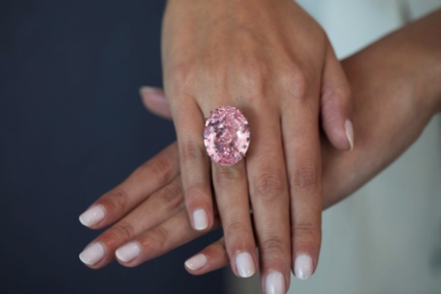 In this issue, we will discuss some of the strong sales of major brands in an article from Forbes, before looking closer at rare pink diamonds as an investment. We will then discuss the growth and technical side of green diamonds before looking at some of the activity at the major auctions around the world. Besides the intricate and otherworldly outfits that parade down the runways during Paris Haute Couture Week, dazzling gems and baubles are also on display. Many of which are high jewelry collections design with exquisite jewels and take several expert hands to create. As luxury jewelry becomes one of the growing areas for passion investments — surpassing cars even — it’ll come as little surprise that these extravagant pieces have been gaining interest — even if they’re hardly ever worn out. From Sri Lankan sapphires to pieces inspired by the personality of lions, take a look at some of the latest collections luxury bigwigs released earlier this year. The latest Dior à Versailles, Pièces Secrètes collection takes you inside a secret Versailles to explore many unseen facets of hidden passages and mysteries. Many of the 36 creations are treasures in their own right, revealing secret features you would never think of and carrying the highest levels of savoir-faire the fine jewelry atelier could provide. Take for instance, a diamond pivots on its axis to reveal a stone beneath a stone, while a ring is fitted with a hidden drawer, bringing to life the palace of secrets the collection takes inspiration from — Versailles. An exquisite ring fitted with a hidden drawer for a playful touch. Chanel “Timeless” brooch in 18 carat yellow gold set with a 1.01 carat round‑cut diamond, 21 fancy‑cut yellow sapphires, 44 round‑cut yellow sapphires and 251 brilliant‑cut diamonds. Coco Chanel always had a special affinity with her star sign, Leo. Represented in the form of a lion, the animal is not only a common symbol in her home but has been used in many ways for her collections over the years. This time, the motif takes centerstage for Chanel’s latest high jewelry collection, L’Esprit du Lion. Taking cues from the lion’s personality — strength and power — the collection features a range of bold pieces encrusted in jewels of warm colors, such as yellows, oranges and browns. Some signature pieces include the Chanel ‘Legendary’ necklace in 18 carat white and yellow gold set with more than 1,200 diamonds and one cushion‑cut 30.19 carat yellow diamond. While another is a secret watch framed with a 37.41 carat carved yellow beryl and 541 brilliant‑cut diamonds. In celebration of the famed French jeweller’s 160th anniversary, the latest additions to their high jewelry collection are nothing short of mesmerizing. New jewels in the range include an update of the ‘question mark’ necklace as well as a continuation of the brand’s love for nature and animals. This time, expect to see new forms of bestiary like a wolf and a fox formed with diamonds, and brooches in the shape of parrots. Along with the same theme of nature, the Plume de Paon — an iconic design — re-works the peacock feather motif to take the shape with lightness and follow the curves of a woman’s body. As the demand for green fancy color diamonds grows, professionals who market them will benefit from increased knowledge and key talking points about this rare type of stone. 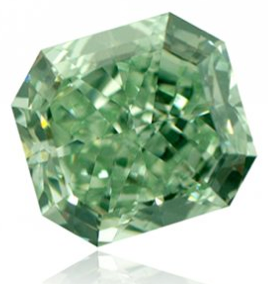 One such example being that a unique characteristic of green diamonds is the fact that they are the only type of diamonds that obtain their color long after they are formed. This article summarizes the essential information that you need to know about green fancy color diamonds during the selling process. Of all the fancy colours that diamonds can exhibit, green is the only one that can be naturally created once the diamond has been transported to the surface. All other colours are produced while the diamond is deep in the Earth under high temperatures and pressures, either by impurities in the carbon lattice (e.g. yellow, blue) or deformation of it (e.g. brown, red / pink). Natural green colour is the result of radiation damaging the diamond. This can occur when the diamond is still in the volcanic pipe (kimberlite) that brought it to the surface, or even if it has been eroded out from there and found in a river / alluvial deposit. If the diamond resides very near, or in contact with, another mineral or fluid that contains a high concentration of radioactive elements (e.g. uranium) then it can have an affect on it. The radiation emitted by the radioactive minerals or fluids, penetrates the diamond and knocks carbon atoms out of the diamond’s crystal lattice, creating holes or vacancies. It is this defect, or imperfection in the diamond lattice, that causes the absorption of predominantly red light, resulting in us perceiving green colour. Radiation damage can also occur when the diamond is deep in the Earth. Sotheby’s garnered $34 million across three sales that made up its New York spring auctions, with a rare fancy intense blue diamond ring standing out as the highlight of the event. The combined auctions were 83.3% sold by lot. The cut-cornered, rectangular, step-cut 3.47-carat stone (pictured) set a price-per-carat world record for a blue diamond, selling for $1.9 million per carat at the Magnificent Jewels Auction, Sotheby’s said Friday. The $6.7 million final price nearly tripled Sotheby’s pre-sale estimate of between $2 million and $2.5 million. Other top sellers were a 72.96-carat diamond bracelet, which sold for $1.4 million, and a 13.70-carat Tiffany & Co. diamond ring, which yielded $1.2 million, beating its estimate of $600,000 to $800,000. 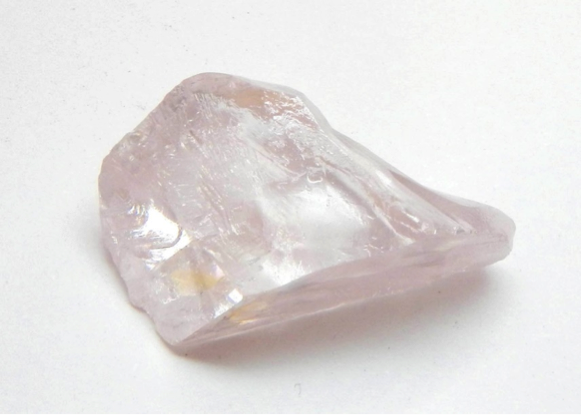 Among the lots that failed to sell were a 7.01-carat fancy intense pink diamond ring, estimated at $4.2 million to $5.2 million, and a 7.37-carat emerald-cut fancy intense orangey-pink diamond ring, evaluated at $3 million to $5 million. The magnificent Jewels sale totaled $26.2 million. Sotheby’s also brought in a total of $2.8 million at the Jeweler’s Eye auction of Fred Leighton’s personal collection, which included his jewelry, furniture and accessories. The event saw $1.6 million in jewelry sales, which featured emerald and ruby pieces. The Fine Jewels sale totaled $5.8 million, and included a 52.89-carat sapphire and diamond ring by Cartier that fetched $6.2 million, the highest price ever achieved at a Sotheby’s New York Fine Jewels sale, the auction house said. “It’s very encouraging to see the response to jewelry offered across all price points, which attracted a broad international group of buyers,” said Kendall Reed, head of Sotheby’s fine jewels in New York. 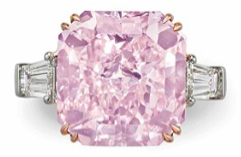 Christie’s New York spring sale will feature an 8.42 carat, fancy intense pink diamond ring, estimated at between $4 million and $6 million, the auction house said Friday. The cut-cornered rectangular modified brilliant-cut, VVS1-clarity stone has the potential to be recut to internally flawless, according to Christie’s. Two tapered baguette-cut diamonds surround it on either side. Other notable lots include an oval-cut 22.76-carat, D-color, type lla, VVS1 “thread” ring, designed by JAR, estimated at $2.5 million to $3.5 million, the sale of which will benefit the Art for Justice Fund. The Magnificent Jewels event will also include signed period and modern pieces by Boucheron, Bulgari, Cartier, David Webb, JAR, Harry Winston, Tiffany & Co. and Van Cleef & Arpels. Christie’s will sell the jewels in a live auction on April 17, as well as online from April 10 – 19. The auction house will preview the pieces at its Rockefeller Center galleries from April 13 to 16.